Cataracts and macular degeneration are eye conditions that develop as the result of aging and free radical damage. They both share some of the same visual losses and symptoms. and both are conditions that develop as we get older. A cataract is a clouding of the lens in the eye. It can occur in one or both eyes. When the lens is clear the retina receives a sharp image. If the lens is cloudy from a cataract, the image is blurred. 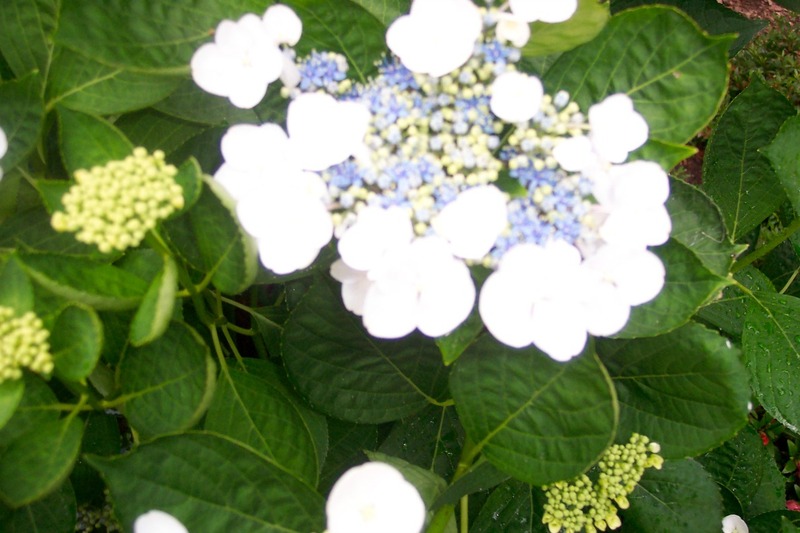 Color perception and sharpness of vision are also affected. It is the most common cause of vision loss that is age related. However, it shares many of the same symptoms of age related macular degeneration. As we age, different factors cause the lens to become cloudy, hard and dense. When this happens light cannot get through the lens as it did before and causes our vision to become blurred or hazy. The lens is also responsible for adjusting the eye's focus so we can see things clearly whether they are up close or far away. The ability of the lens to focus diminishes as the lens hardens. With advanced cataracts the doctor is unable to detect macular degeneration because he can't see through the cloudy lens. Color intensity is lacking and colors appear faded. 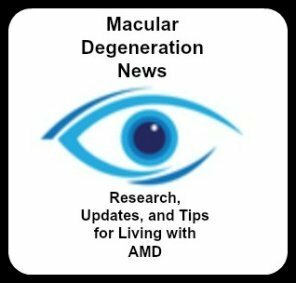 "There are several reasons why patients "find out" about macular degeneration just after cataract surgery. 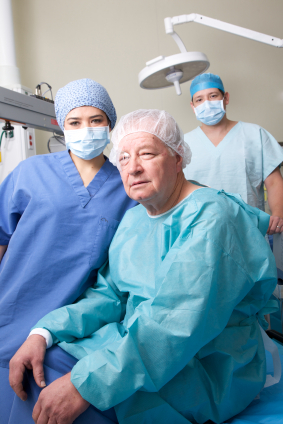 First and foremost, the vision fails to improve after the cataract is removed. Everyone is disappointed. Two eye problems become more common as you get older; cataracts and macular degeneration. Often the cataract prohibits a great view of the retina so the macular degeneration creeps along .... everyone thinking it's the cataract. 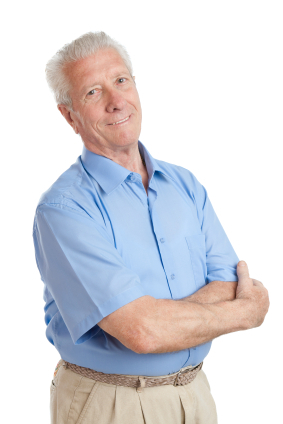 Sometimes the two eye problems develop hand in hand, but in the end....you'll need to take the cataract out anyway. In a perfect world, everyone considering cataract surgery should see a retina specialist....but that's impractical. Remember, too, that usually the cataract surgeon has no retina training. The worst thing about this is the unexpected disappointment." Macular degeneration is the loss of our straight ahead or central vision, making it difficult to read, recognize faces or to drive. It is the most common cause of legal blindness in the U.S. Just like with cataracts, as people age it becomes more common. In this eye disease, it is the macula - a very small spot in the center of the retina, the back of the eye - that becomes damaged. The picture on the left is a healthy macula, the one in the middle is wet macular degeneration and the right is dry macular degeneration. However, one of the most common symptoms of macular diseases is a loss of sharp or detailed vision - which is also a symptom of cataracts. Sensitivity to glare, the need for more light and colors appearing more faded are symptoms of both eye conditions as well. Besides several vision changes, cataracts and macular degeneration have this in common - they are both believed to be caused by oxidation. What is oxidation? Oxidation is the result of free radicals causing damage to our cells which then leads to many age related diseases and degenerative diseases like macular degeneration. According to Dr. Michael and Marc Rose, authors of Save Your Sight! 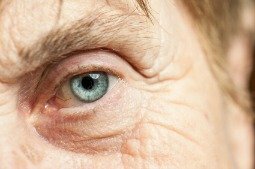 : Natural Ways to Prevent and Reverse Macular Degeneration , "An imbalance between free radicals created by oxidation reactions and the antioxidants that neutralize them is one of the common threads of cause and effect this is woven through all the major eye diseases and nearly all of the disabilities and diseases we associate with aging." 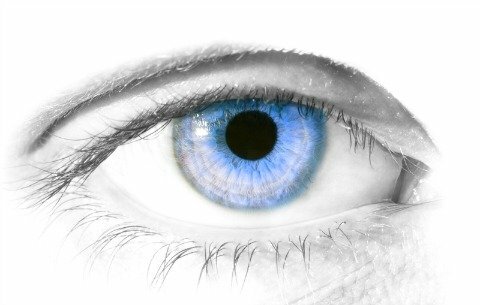 The eye is especially vulnerable to oxidation because it is constantly being exposed to ultra-violet and blue light. This damage due to exposure to UV light is cumulative - meaning that the result of days and years of exposure to sunlight is the development of eye conditions like cataracts and macular degeneration. Exposure to UV light for 5 hours or more a day, including your years as a teen and young adult, increases your risk for cataracts and macular degeneration. "Arguing for the removal of cataracts is the obvious fact that their presence can dramatically impair the patient’s vision and, for the physician, can hinder the visualization and management of underlying retinal pathology," states Samer E. Farah, MD author of The Impact of Cataract Surgery on Preexisting Retinal Disease, American Academy of Ophthalmology Magazine, EyeNet, September 2010. So what impact does cataract surgery have on the progression of macular degeneration? Samer E. Farah, MD elaborates in the same article, "Despite this good news about cataract surgery, there is a growing awareness of the effect of cataract surgery on a range of preexisting retinal pathology, and the decision to perform cataract surgery in eyes with preexisting retinal disease is often challenging." There are some anecdotal incidences of the progression of wet macular degeneration after cataract surgery. Cataracts cause the clouding of the lens on the front of your eyes. This "cloudiness" prevents images and light from entering the eye. Also with advanced cataracts the doctor is unable to detect AMD because he can't see through the cloudy lens. What used to be a simple decision to have the cataracts removed, becomes more complicated when a person has macular degeneration. Sometimes eye doctors will recommend that the AMD patient with cataracts wait until the vision loss is more severe to correct them or until one's wet macular degeneration has stabilized before they will do surgery. 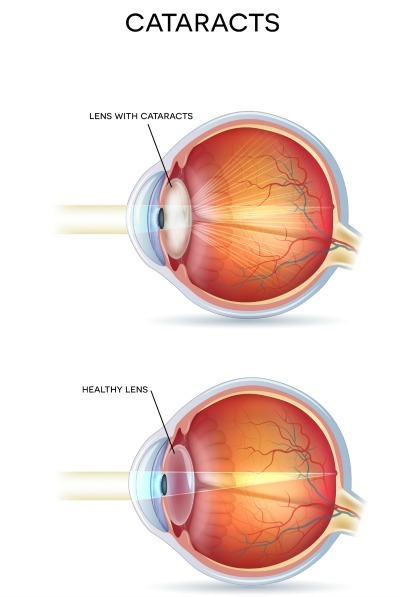 If the blurry vision is from a cataract it will be clearer once the cataract is removed. But if the blurred vision is from macular degeneration, the blurred vision will still be present after the cataract surgery.